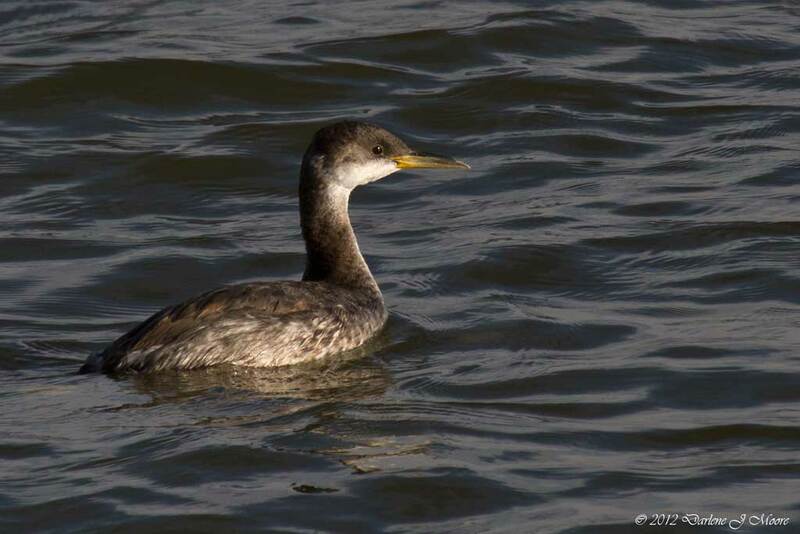 Red-necked Grebe (Podiceps grisegena) (20). One at Lake Kickapoo, Archer, from 28 January-4 March 2007 (ScL, DHo; 2007-12; TPRF 2470). Red-necked Grebe - One was photographed on Lake Tawakoni, Van Zandt during its stay 28 November 1993 - 5 March 1994 (RK, RR, PR, PH, HBl, GL, GH, PB, AV; 1993-155, TPRF #1204). A photograph of this bird was published in AFN 48:224. Red-necked Grebe - One at Lake Tawakoni, Rains, on 6 November 1999 (MWh; 1999-108). Red-necked Grebe - One at Lake Lewisville, Denton, from 29-30 March 1998 (LH; 1998-99; TPRF 1580). This bird was in breeding plumage, a rarely observed plumage in Texas.